The prime minister of Romania stayed at President Trump's hotel during her trip to Washington over the weekend. She is the first foreign government leader known to have booked a room at the property in more than a year. The stay at the Trump International Hotel by Viorica Dancila, who is attending the annual American Israel Public Affairs Committee conference, provides the latest piece of evidence that Trump's company continues to do business with foreign officials. Such payments could violate the Constitution's anti-corruption provisions, which prohibit the president from accepting gifts or "emoluments" from foreign governments. Dancila was seen Friday night inside the hotel's atrium surrounded by a group of about eight people after leaving the hotel's BLT Prime restaurant. She made her way to one of the building's elevators, which are operated with room keys of hotel guests. She was seen again on Sunday, entering an elevator shortly after 6 p.m. On Monday she tweeted a picture of herself meeting with Vice President Mike Pence at AIPAC. Trump still owns the hotel through a trust from which he can draw money at any time. Trump's lawyers have rejected the idea that a hotel visit from a foreign official can be construed as an emolument, saying instead that it is a "fair value exchange" not addressed in the Constitution. Trump faces several lawsuits over the emoluments issue, filed by the attorneys general of the District of Columbia and Maryland, Democratic lawmakers and a government watchdog. A spokesperson for the Trump hotel declined to comment. The White House didn't immediately respond to a request for comment. Romania, a member of NATO, has a range of military and trade interests with the U.S. It recently increased its military spending, in accordance with Trump's complaints that European states should bear more of the costs of their defense. 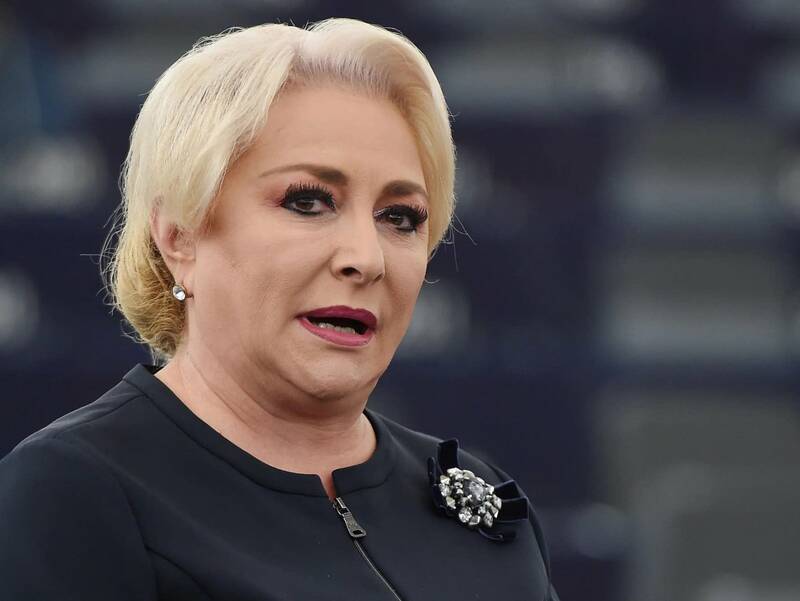 Dancila has said she would like Romanian citizens to be able to travel to the United States without a visa; so far, the State Department has not added Romania to its visa waiver program. While Dancila was in Washington, she announced her intention to move her country's embassy in Israel to Jerusalem, though it's not clear whether that will happen. Last year, the United States moved its embassy to Jerusalem, but few other countries have followed it. One of them is the president's attorney in the Special Counsel Robert Mueller's probe, Rudy Giuliani. Last August, Giuliani sent a letter to Romania's president "to express my concerns about continuing damage to the rule of law in Romania being done under the guise of effective law enforcement." Romania, which Transparency International ranks among the most corrupt countries in Europe, has seen several high-profile graft prosecutions. Giuliani was at the Trump International Hotel on Friday. He was not seen with Dancila, and his spokesperson didn't respond to a request for comment. Another Trump associate, fundraiser Elliott Broidy, has also reportedly done business in Romania. The New York Times reported Broidy's security company, Circinus, sought contracts with the Romanian government. In January 2017, the leader of Dancila's political party was a guest of Broidy's at a celebration of Trump's inauguration at the Trump International Hotel in Washington. Liviu Dragnea posted a photo of Trump to his Facebook page the night before Trump was sworn in as president. Dragnea himself has been a target of Romania's prosecutors. He applauded Giuliani's letter criticizing prosecutorial "excesses" in a statement on his website. Radio Free Europe/Radio Liberty, the U.S.-supported news agency, wrote in November that Dancila "has little executive power. Liviu Dragnea, the chairman of the ruling Social Democratic Party, basically runs the government but can't be prime minister because of a conviction for vote-rigging."